Submitted by Matthew Tonge this article about position in poker belongs to the Poker Strategy Series. This is the last article in a series describing 5 key steps to become a winning poker player. The topic at hand is position in poker. Summary: Play less hands when in early position. Having position in a hand gives you an advantage. If you watch poker on TV, you will hear the commentators talk about ‘position.’ “He’s going to play this out of position”, “She will have position for the rest of this hand.” But what is position? Put simply, it is based on when it is your turn to act in relation to the other players. So, if you are first to act after the blinds have been posted (also known as under the gun), you are in early position. 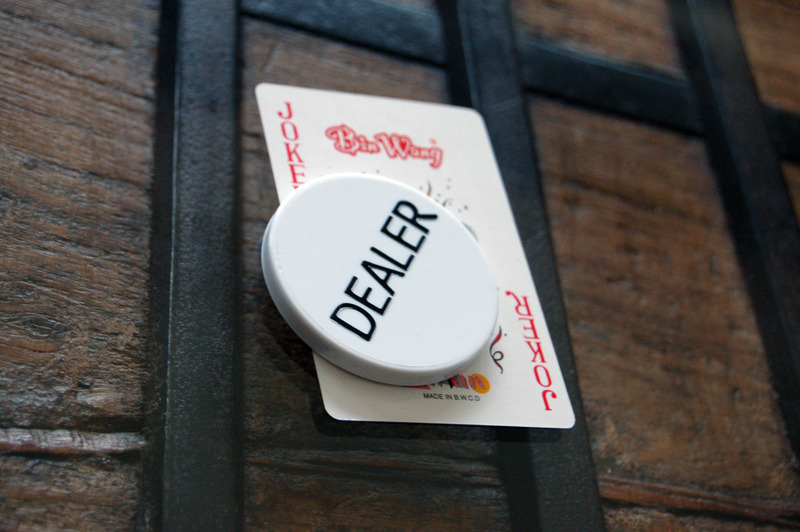 A player who is in early position is also referred to as being ‘out of position.’ The closer you get to the dealer button, the later your position. If you are on the button you are always last to act, and you will be ‘in position.’ Being ‘in position’ gives you an advantage, as it means you will be able to see other players act first, and gather information about the strength of their hands before you have to make your decision. Generally, you need a stronger hand to play in early position than you do in later position. For example, if you get a hand such as King-Ten suited, which can look quite nice, in early position, you are best folding. You still have most of the players at the table to act behind you, and there is a good chance someone will have a better hand. And if you decide to play, they are going to gather information from you before they have to act – giving them the advantage. 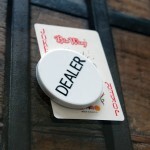 However, if you get dealt the same hand on the button, and everyone folds around to you, then you can certainly play. You only have the blinds left to act, and so there is less of a chance that there is a better hand than yours out there. You should make a raise. And if the big blind, for example, opts to call, you will ‘have position’ on him, and the advantage will be yours. Also, hands such as suited connectors and 1-gappers, such as 5-7 hearts, are best played in position, as you have the chance to see a free card when other players check to you, and you get to hit your straights and flushes without paying too much. If you play these hands out of position and check, a player in later position is more likely to bet to try to win the pot, which makes seeing another card more expensive. If you have a hand that you would like to play, such as King-Queen suited, and you are in middle position, raise. This may force everyone behind you to fold, giving you position for the rest of the hand if you get a call from the blinds. If you just call, there is more of a chance that others behind you will also call, meaning they will have position on you.